Participants were asked: what is the one thing that you know now that you would have liked to have known when you first started to create art? Alicia's response rings true for me. At that tender age even a funny look could stop me in my tracks and I would put off creating art for years, even to the point of taking a boring subject for three years rather than choosing art which I loved in case someone thought I was weird. If only someone had given me a good talking to!! It's amazing how many common threads run through the lives of all artists. Thank you Seth! what a great surprise to be featured in your survey. Again a great group of incredibly talented artists. 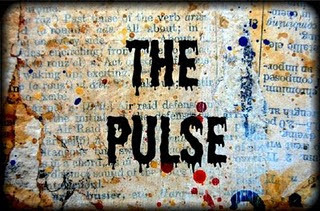 it always amazes me how much time and thought you put into every aspect of the pulse. not only are these such amazing responses, there is a common thread through each. i know you must do this on purpose. thank you so much for allowing me to be a part of this wonderful collaboration. i am in love with reading all of these wonderfully insightful responses.